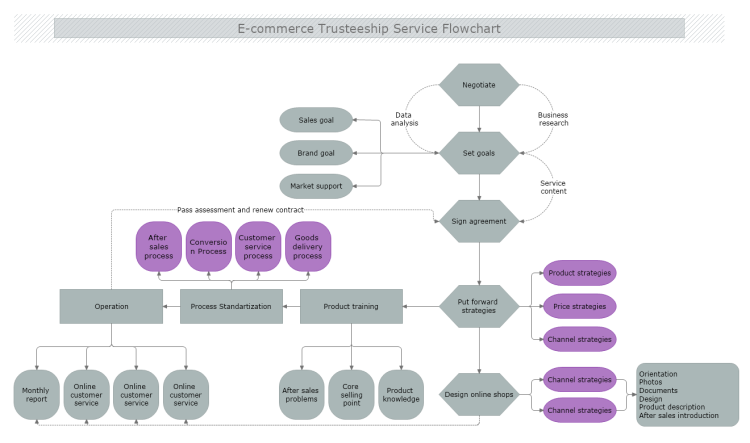 This is a complex e-commerce trusteeship service flowchart that follows all the services which need to be performed in detail. The template sets goals and standartization time, product training, online customer services and after-sales support. Download this free template and model it to match your specific requirements.